Daily Survival: Gardening: You can do it! Gardening promotes healthy eating, provides vegetables and fruit at peak freshness, allows us to can and freeze vegetables for the winter and saves lots of money at the grocery store. We also share our bounty with neighbors and friends. We currently have lettuce, spinach, broccoli, peas and onions growing in our backyard. I have seed potatoes in my garage which I need to get in the ground. 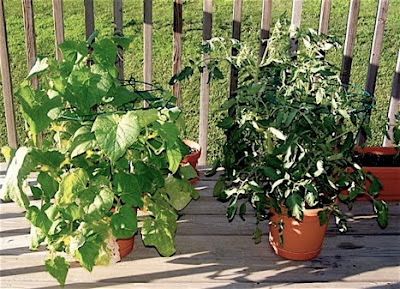 After our frost-free date, which is May 15th, we will plant green beans, cantaloupe, tomatoes, watermelon, zucchini, pumpkins, cucumbers, eggplant, peppers, herbs of many varieties and corn. The great thing about gardening is that you can plant what you like to eat. We have a square foot garden which is made of raised beds. However, there are lots of ways to create garden, even when you don't have ground space. If you haven't tried gardening, this is the year to do it! 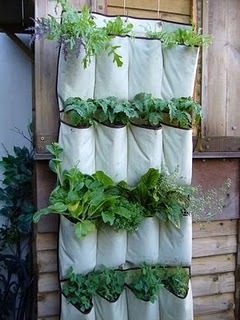 Here are the instructions to make the vertical vegetable garden shown in the picture above. There are myriads of gardening sources available on the Internet. Your state extension offices are a terrific source with information about how to grow plants in your area, soil testing and master gardeners on staff. Do some research and you can find a gardening solution for you and your family. Trust me, it will be worth it! My kids love to eat veggies and I know it's because they eat them right out of the garden all summer long. Very cool. I'm in favor of anything that gets people into gardening and producing their own food.